A 19-year-old woman who has a mental disability was sexually assaulted on a Winnipeg Transit bus as her support worker who sat two rows in front didn&apos;t notice her client had been approached by a strange man until after the assault was over, CBC News has learned. Winnipeg police said the assault took place on Oct. 11 around 11 a.m.
At the time, police described the victim as a "vulnerable person." Police said that meant she was either physically or mentally challenged, but they wouldn&apos;t specify which. She sat towards the back of the bus and a man she didn&apos;t know sat beside her. Police initially reported the man sexually assaulted her and tried to take her off the bus, but he was confronted by another passenger and then got off the bus alone. They said the woman was not physically injured. CBC News has learned the assault started within seconds of the man&apos;s sitting down beside her and lasted for about 10 minutes. Sources said the assault was caught on a surveillance camera. Sources say the video shows the victim&apos;s support worker sitting two rows ahead, wearing headphones, oblivious to her client being violated a couple of rows away. As the suspect tried to get the victim off the bus, the 19-year-old resisted and held onto a pole. She and the man then sat back down and the assault continued for a few minutes more. It only stopped when the victim&apos;s support worker finally turned around and saw what was happening. At that point, the suspect ran off. A man was arrested five days later. CBC News has learned the support worker was an employee of Changes, a not-for-profit organization based in Winnipeg that provides services for adults with intellectual disabilities. Last year it received more than $4.2 million from the province to care for Manitobans in need. No one from the company would comment on this case. "This happens in institutions, it happens in care homes, it happens everywhere," said Shelley Fletcher, director of People First of Canada, a national non-profit group that advocates for people with intellectual disabilities. "It happens way more than people think." Fletcher said part of the problem is that support workers are paid little more than minimum wage, so the turnover rate is high and often clients don&apos;t get the attention they need. Other advocates said more needs to be done to protect those with disabilities. 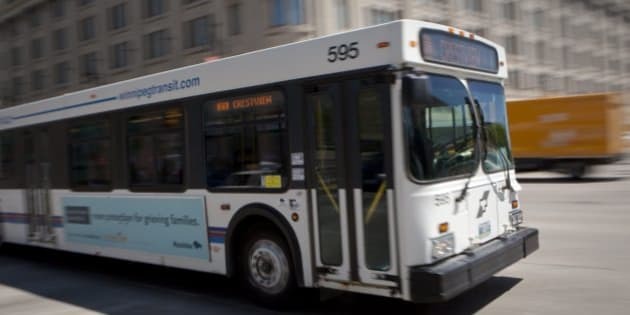 "She had the right to be on that bus and to be safe on that bus and that worker was there to ensure that that happened and it didn&apos;t," said Anne Kresta, interim manager for Community Living Manitoba. Janet Forbes, executive director of Community Living Winnipeg, which advocates for the inclusions of those with intellectual disabilities in society, said recent statistics show 80 per cent of women with intellectual disabilities will experience some form of abuse in their lives. She said the perpetrators prey on the women&apos;s vulnerabilities. "I mean that was a pretty bold act to be assaulting someone in a public transit," she said. "But he got away with it for 10 minutes." Forbes wonders if other passengers saw what was happening and whether they could have intervened.